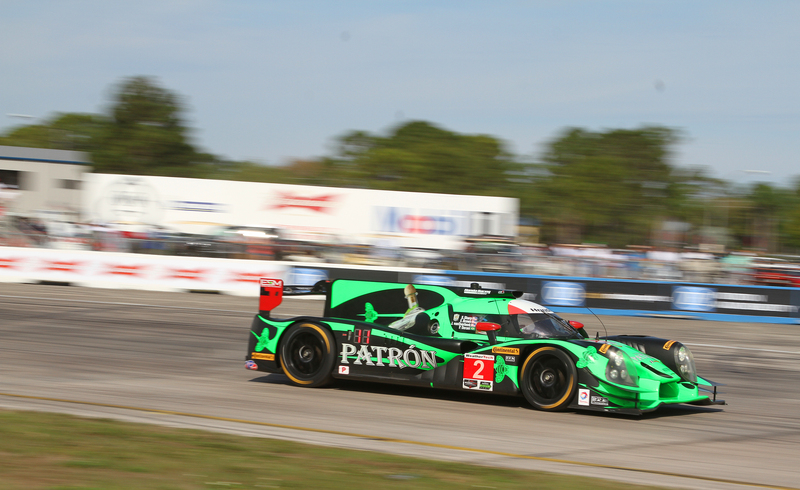 SEBRING, Fla.—In a surprising twist, a pair of P2 cars qualified one-two for Saturday’s IMSA WeatherTech Twelve Hours of Sebring. Oliver Pla in the #60 Michael Shank Racing Ligier JS P2-Honda set the fastest lap of the weekend, 1:51.217 at 121.061 mph. Only 0.174 slower was Extreme Speed Motorsports driver Luis Felipe Derani in that team’s Ligier-Honda P2. Dane Cameron qualified third in the #31 Action Express Racing/Whelen Engineering Coyote-Corvette DP with a lap of 1:51.943, 0.552 behind Derani and 0.726 behind Pla. [Getting the pole] “was tough for many ways,” Pla said after qualifying. “First because yesterday the crew had to repair the car overnight. Things were a little bit crazy. Dane Cameron commented, “Some days all you do is be the best of what you are. That is what we did today and we are quite happy with that. I think we have a really good race car. In any case, Pla and Derani will start up front for Saturday’s race. The result is all the more surprising because the Shank Ligier was badly damaged during Thursday’s night practice. John Pew either lost control or had a suspension part break under hard braking entering Turn &. Pew crashed head-on into the tire barrier, hitting so hard he sent a stack of sixteen connected tires flying well over the concrete backing wall, which he also pushed about a foot. At the time people were speculating about whether the car could even be repaired in time for the race. The MSR crew got the car ready for morning practice and in fact, managed third fastest time of the session. Even so, no one expected the car to be quickest. The ESM car was fifth in the morning session, and had never run faster than third all weekend—and that was in the first session. Where the speed came from is a mystery. Qualifying for a twelve-hour race does not carry the same significance it does for a three-hour sprint race. In endurance racing, the real competition doesn’t start until the last two stints, when fuel- and tire strategies play out, and whoever has survived until then makes a dash for the finish. Still, there is an undeniable psychological edge to being fastest. This hasn’t helped the MSR team in the past—they have had the fastest car before, but have never finished an endurance event. ESM has proven its durability by winning the Rolex 24 in January—but twelve hours at Sebring is probably three times as hard as 24 hours at Daytona. 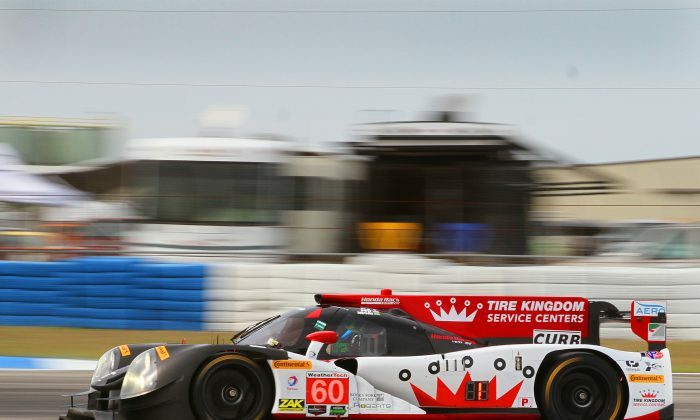 DPs have won the past two Sebring 12 Hours, and the 2014 and 2015 Rolex 24s. There is zero concern about their durability. For the first time since the merger which created the IMSA WeatherTech series in 2013, the DPs face a serious challenge. BMW Team RLL locked up the front row of the GT Le Mans grid with Bill Auberlin in the #25 M6 GTLM and John Edwards in the #100 M6 GTLM lapping in 1:58.402 and 1:58.592 respectively. Auberlin had been fast in every session; the #100 car hadn’t been showing much speed, but when it mattered, Edwards came through. Third on the grid will be Daniel Serra in the #68 Scuderia Corsa Ferrari 488 GTE, only 45-thousands of a second behind Edwards. GT Daytona was as close as GT Le Mans always is: the top three cars were only three-tenths apart, and the top ten cars were within 1.3 seconds of the leader. The top 16 were covered by 1.7 seconds. Jeff Segal in the #63 Spirit of Race Ferrari 458 beat out Jeroen Bleekemolen in the #33 Riley Motorsports Viper GT3-R by only 36 thousands of a second. 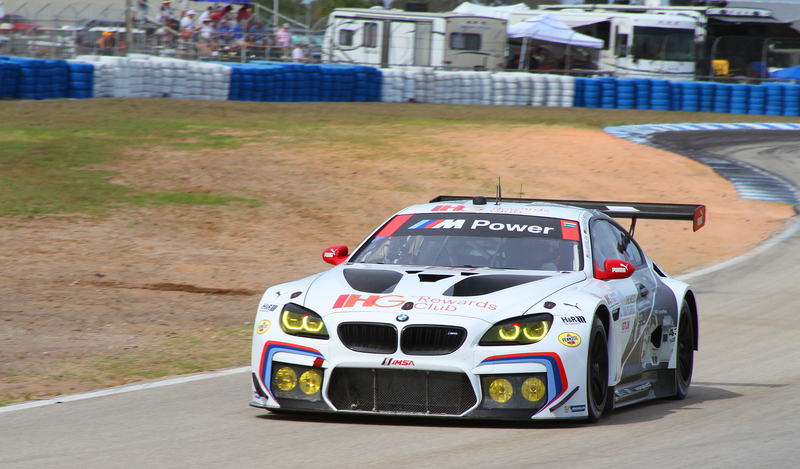 Bleekemolen was a relatively large 0.274 ahead of third-placed Jens Klingman in the #96 Turner BMW M6 GT3. Segal explained that the team had only had the car, last year’s model, for a few weeks. “I think we took delivery of the car at the test days not too long ago. “The car has responded positively to everything we’ve done to it. It’s been a lot of hard work from the team. We had a productive test and left with a lot of confidence. There is still a lot left with a 12 hour race tomorrow. Core Autosport Has been the team to beat in Prototype Challenge since before the merger which created the IMSA WeatherTech series. The team has five championships. They were quickest in every session at the Sebring Winter Test, and quickest in every session this weekend, including qualifying. Core’s dominance might be testeted this season. Sebring will be the first race for the upgraded Oreca FLM-09 chassis, with more power, less weight, better balance, ABS, and traction control. So far, Core’s drivers have mastered the new package and maintained their edge in speed. 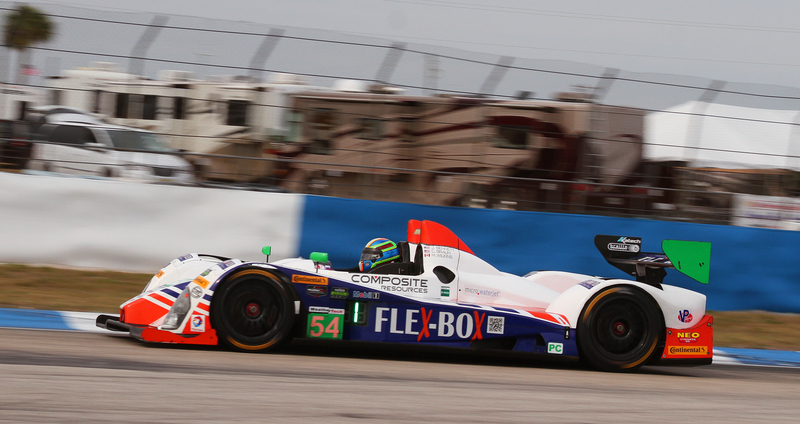 We’ve been quick all week, we had a nice race car,” said qualifying driver Colin Braun. “The guys were working all week getting the new package sorted out and installed. It’s paid off, we thought we’d be a little bit behind the 8-ball and getting the systems working, but we got it dialed in and were able to get out there and get a fast lap so we’re looking for a good race start. “We came up a little short last year—we finished second by just a little bit. We’ve always run well here, being such a long distance race that usually plays into it. 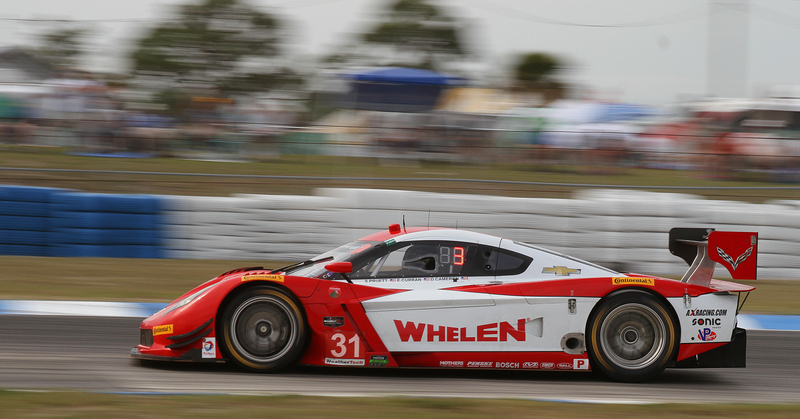 The IMSA WeatherTech SportsCar Championship Mobil 1 Twelve Hours of Sebring takes the green flag at 10:40 a.m. Saturday, March 19. 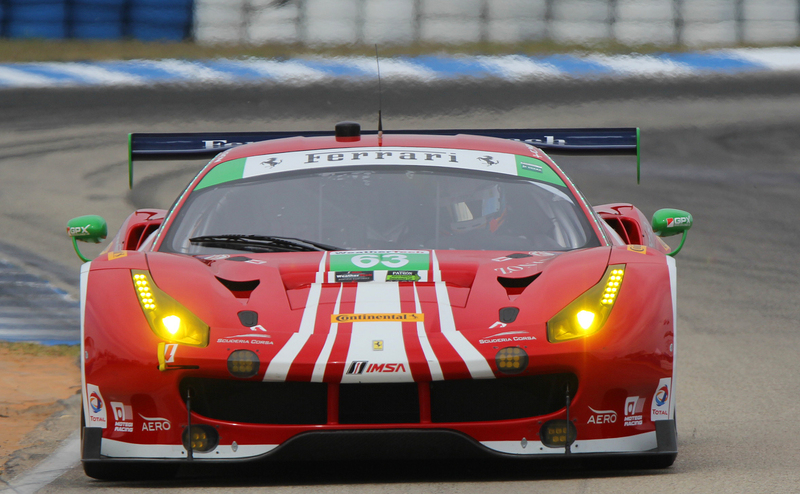 Tickets can be purchased at the gate, or via IMSA.com or the Sebring Raceway website.